For those who desire the very best and heavy duty holding capability. This unique design utilizes a continuous Nylon core covered with soft leather. 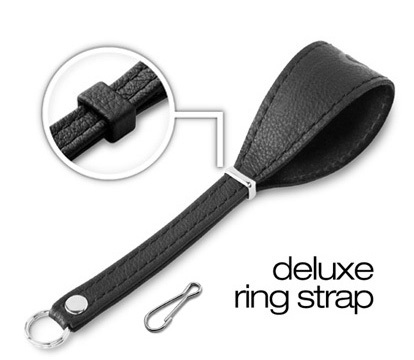 Recommended for larger cameras or camcorders that cannot accept our 3/8 inch belt strap. The slide buckle adjusts to fit snug against any size wrist, preventing accidental drops. that might have very small eyelets, such as Leica, etc.